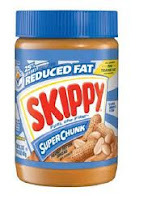 This time it's Skippy Reduced-Fat Peanut Butter. Is there anyone who still believes that big food conglomerates have our best interests and safety at heart? Seriously?